Deep Space Ham Radio, anyone? 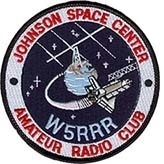 John, AB5SS, is an avid weak signal ham. He enjoys the challenges of microwave including Deep Space Network (DSN) reception and propagation. 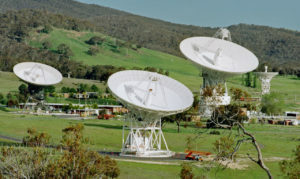 The photo represents Canberra, Australia’s 3x 70m Deep Space dishes tracking the Cassini spacecraft orbiting Saturn. With the advent of all the neat digital signal processing SW out and some smart antenna configurations, John wants to do some DSN ham work at the JSC club. Any takers? 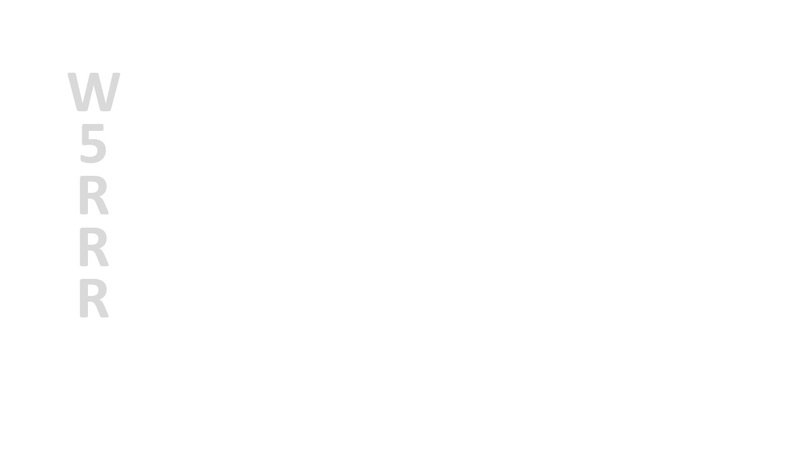 Paul Marsh, M0EYT, is moderator of the yahoo group amateur-DSN. He successfully received telemetry from the Cassini spacecraft orbiting Saturn… using only minor modification using an off the shelf 1.8m dish manually steered. Read more…Deep Space Ham Radio, anyone? Our venerable 80′ tower is aging, but…. Today, JSCARC President, “git ‘er done” Keith, KG5HOK, picked up 60’+ of great condition Rohm 45G tower sections. Last week, he met a ham who had tower pieces for sale at his Bryan QTH…. so Keith traveled to Bryan today to check it out. Read more…Our venerable 80′ tower is aging, but…. 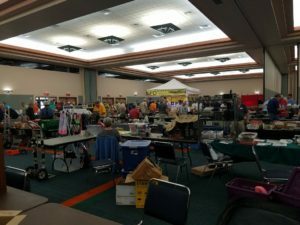 Hamfest pro and salesman par excellence, Ken Goodwin, K5RG, and our fearless JSCARC president,Keith Grimm, KG5HOK, led the effort to support the JSCARC at the July 8th Tidelands Hamfest held at the Doyle Convention Center, in Texas City. With 2 tables for the club and a 3rd table that K5RG funded, lots of donated equipment (thank you Renee Lance) was swapped for cash and helped bolster the JSCARC treasury. 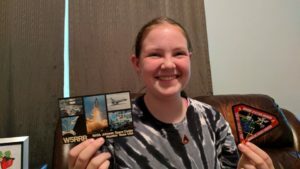 Tanner Jones, W9TWJ, was generous enough to take the time to send her a W5RRR QSL card and some NASA mementos. Here’s a photo of a beaming Paige with her NASA JSC outreach items from Tanner. Influencing young persons is a real joy of this hobby. Superb job, Tanner! 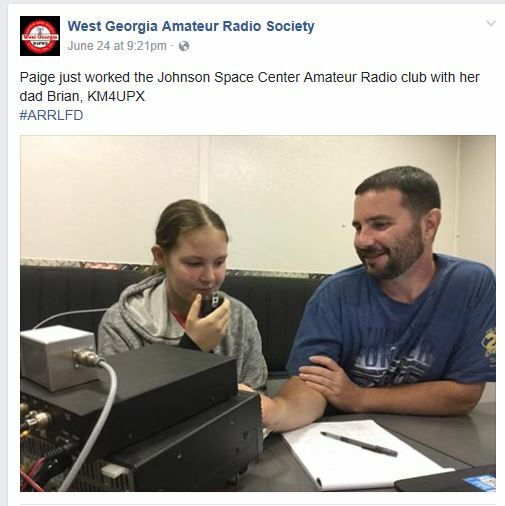 WX4BK (Paige), welcome to Ham Radio! Read more…WX4BK (Paige), welcome to Ham Radio!